Development networks – testing systems before introducing them to a live environment. Disaster Recovery and Business Continuity – having the ability to restore services quickly from an offsite location. 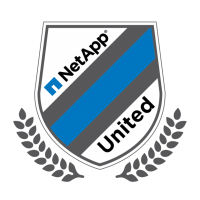 Scalability – Temporary or Additional Resources without building additional infrastructure. This resolves headaches for businesses as there are now solutions available to facilitate short term and long term needs with pricing structures that fit all sized business budgets. There is less of a need to invest in hefty short term infrastructure investments or Disaster recovery datacentre’s. Vendors like VMware and Microsoft are able to offer solutions out of the box so that customers can leverage Hybrid features and functionality. Cloud Providers such as VMware and Microsoft offer a hybrid service which provides customers the ability to host services on premise or on the cloud (off premise). This provides the required elasticity/flexibility needed in today’s business. What I mean by this, is the ability to pay for what you use and having the elasticity to move servers (virtual Machines) from on premise to off-premise cloud services and vice versa. Virtual Private Cloud: a traditional cloud service shared on Shared Hardware with isolation between customers enforced by multi tenancy software and security. Dedicated Cloud: the same as a Virtual Private cloud but customers get their own dedicated compute hardware, network and storage. Disaster Recovery: the replacement of traditional business continuity offerings which provides replication of on premise virtual Machines for use in case of an emergency. In this article we will be looking at the Virtual Private Cloud Offering only, as covering the whole product is out of scope of this article. When you Login into vCloud Air you are presented with a basic control panel. As you can see from the main dashboard, the User interface is quite simple, easy to understand and use. The dashboard shows the number of Virtual Data Centres, the number of virtual machines and public IPs allocated. When clicking on the available virtual datacentre, you will be presented with the following: I get the feeling that this has been designed for users who are not familiar with the vSphere/vCenter interface. The dashboard has five tabs, Usage & Allocation, Virtual Machines, Gateways, Networks and Users. So what is a vDC? A Virtual Datacentre is basically a set of resources that are available to you with in the virtual infrastructure. vDC’s come with their own virtual networks and virtual routers. vApps are used as resource pools allowing you to group VMs together and assign resources. You also have the granular control in terms of selecting different storage speeds or SSD. The virtual Machine tab provides basic functionality allowing the user to manage virtual machines, view details like which virtual data centre virtual machines are stored in, the resources allocated and the owner. 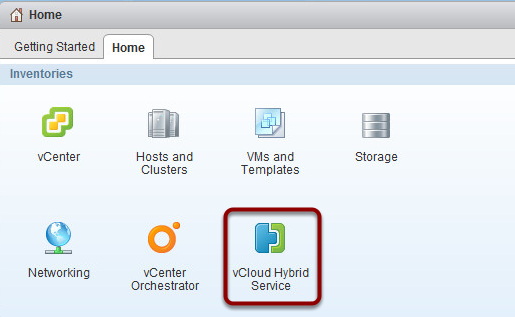 You have the ability to “Manage in vCloud Director” or create VM’s from the “Add One” button. Double clicking on one of the virtual machines will allow you to add resources, assign a different owner, update VMware tools, and power down, suspend or reset. In the right hand corner of the browser, you will see options to launch a console, manage in vCloud Director, and edit the name and description. The Gateways tab shows details of the configured networks and allows you to configure firewall rules, VPN Tunnels, NAT rules and much more. All network configurations can be carried out in this tab. The data protection tab will show nothing unless you have purchased the add-on service. 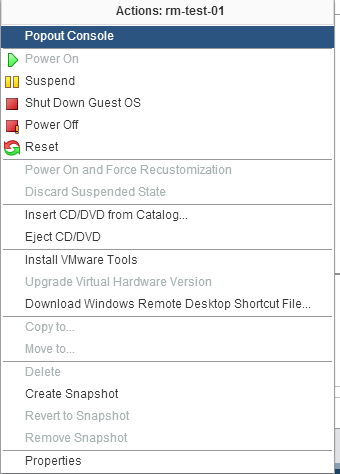 The virtual Machine tab has an option to manage virtual machines using vCloud Director. Inside the vCloud Director interface you can create new vApp’s, manage VDC’s and create/manage catalogs. The vCloud Director interface provides advanced technical features when you compare it to the simplified interface we covered earlier on in the article. You can load the vCloud Director Web interface using the “Manage in vCloud Director” button or links located throughout the various areas in vCloud Air’s web interface. For all those who are familiar with VMware, you will recognise the branding and layout of the web Interface. The Home screen shows all the available vApps’ in your vDC. You have the ability of opening the vApp’s to see the virtual machines in the resource container, add virtual machines to that particular vApp. On the right hand side of the web interface, you have a number of options and functions which assist with configuring and managing your vDC including managing and creating new catalogs. There are two types of Catalog available, “public” and “My organisations”, My Organisations Catalog’s contains all vApp’s created by the user’s organisation. VMware’s public Catalog has a considerable number of pre-defined templates with different operating systems enabling you to deploy operating systems without having to build from scratch. You can build your operating system from scratch if you want to. One of the final areas I wanted to touch on is the pop out console and the features available to virtual Machines through vCloud Director. The console is similar to vSphere’s and allows you to mount CD’s and USB Drives from your local machine. I really like this feature as you can upload, Deploy and manage virtual machines anywhere (security permitting). When right clicking the virtual machines in vCloud Director, you are provided with a list of virtual machine functions which looks similar to vSphere’s. I do like the feature “Download Windows Remote Desktop Shortcut File” but this can only be used when you are connected to the cloud network. vCloud Air provides an affordable extension to your datacentre, a disaster recovery solution, which can be called upon if ever needed or dedicated off premise resources. The interface has been designed to simplify management and enables less experienced users to manage and support the vDC’s. Pricing is attractive compared to colocation and physical hardware costs. A big benefit for customers already using VMware, is the ability to move existing VMware setups over to the vCloud Air Service. 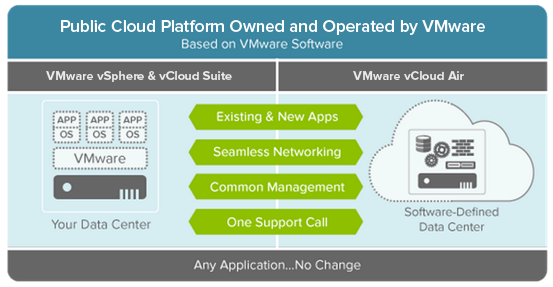 My Overall opinion is that VMware have done a great Job with vCloud Air and it is quite attractive, not just for pricing but for businesses wanting a simple/quick and scalable resources when required. Entry level pricing for Virtual Private Cloud starts from £631 per month. Disaster Recovery pricing starts form £510 Per Month; and Dedicated Cloud services from £5,547 per month. 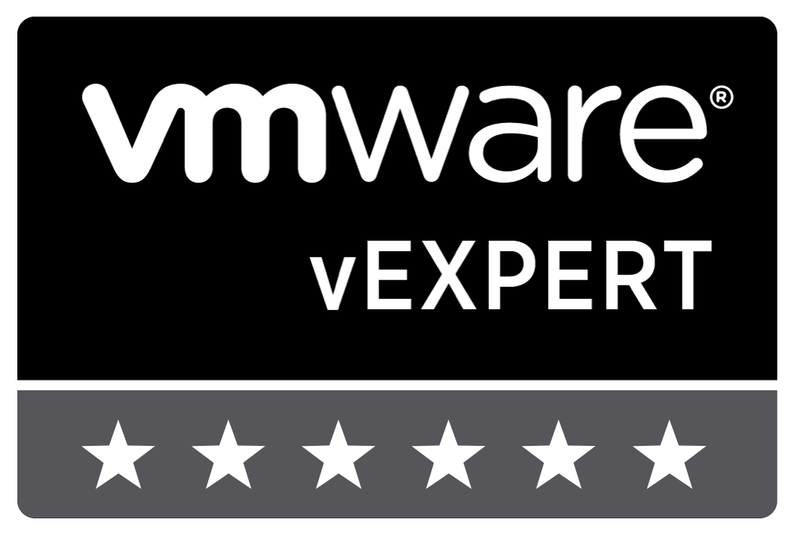 VMware have clearly risen to Microsoft’s challenge and have provided a highly competitive solution which caters for customers with cloud/hybrid needs. Awesome article as always Ryan. I think you hit the nail on the head with the fact that “elasticity/flexibility needed in today’s business” is really the driver for these types of technologies. VMware has definitely done a great job in lowering the barrier for organizations to start getting their feet wet in hybridity by making their cloud a pretty seamless extension to on premise.